Major BioWare Writer Leaves Studio For 21st Century Fox | Nerd Much? Drew Karpyshyn, the lead writer for Star Wars: Knights of the Old Republic, Mass Effect 1 and 2, and most recently, working on Anthem, has announced that he is leaving BioWare again. The writer left the studio before, back in 2012 to work on his original novel series titled Chaos Born. He returned to BioWare in 2015 to help with the studio’s current projects up until and including Anthem. According to his own announcement on the matter, Karpyshyn decided to leave BioWare simply because he could no longer juggle his personal projects with that of work for BioWare. As such, Karpyshyn is going to be focusing on those, as well as freelancing for 21st Century Fox’s current foray into the gaming industry with a division called FoxNext and a studio called Fogbank Entertainment. Interestingly, Fogbank is where other ex-BioWare employees work too, like Daniel Erickson and Alex Freed. Erickson was the lead designer over at BioWare and now he Fogbank’s studio director, managing a team of 20 industry veterans. Freed was also a major writer for BioWare, working as a lead with Karpyshyn on Star Wars: The Old Republic, Mass Effect, and Dragon Age. Now, he is the writing director at Fogbank. Despite the odd circumstances, Karpyshyn assures us that there is no “dirty laundry” to air between him and BioWare or EA. He really just wants to work on his own projects, like an original sci-fi graphic novel he is co-creating with someone else (who he hasn’t named yet). Karpyshyn states that he plans on semi-regular blogging and tweeting about his projects and, of course, his opinions on the world at large. He does not seem at all afraid of controversy, so if there really were dirty secrets over at BioWare, he probably would not be afraid to tell them. As it is, Karpyshyn clearly has too much respect for the studio to do something so crass. 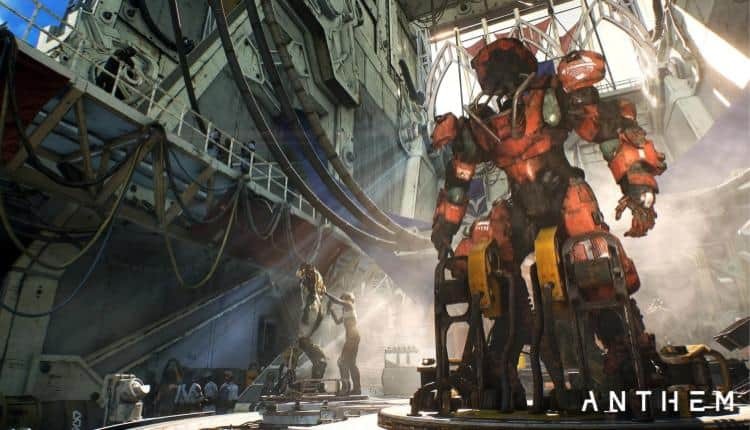 Is this a sign that EA is not leaving enough creative room for Anthem? What kind of original works would you like to see from Karpyshyn? Let us know in the comments below!